Looking for an event centre in Warri has been made easy because we have listed the best five warri event centres which are the perfect fit for all types events or occasions. Event centres always play a major role to any successful event. So using any one of the warri event centres of the list we have made of the best and trending event centres in warri will ensure the success of your ceremony or occasion. There are several event centres in Warri which have standard facilities which also can be used for major events in Warri but we have taken out time to list the Top Five Trending Warri Event centres in the city. The top five Warri events which have listed below are the most used event centres in Warri at the moment because in recent years the event centres in our list have hosted the major events in Warri and these Warri event centres are all suitable to be used to host any type of event because of their location, decorations, and the security life and property. The best Warri event centres are reputable for their high operating standards and have trained personnel that will effectively manage the event centres to ensures that the event is not disrupted by any means. The top 5 Warri event centres are well maintained and ready to be used. 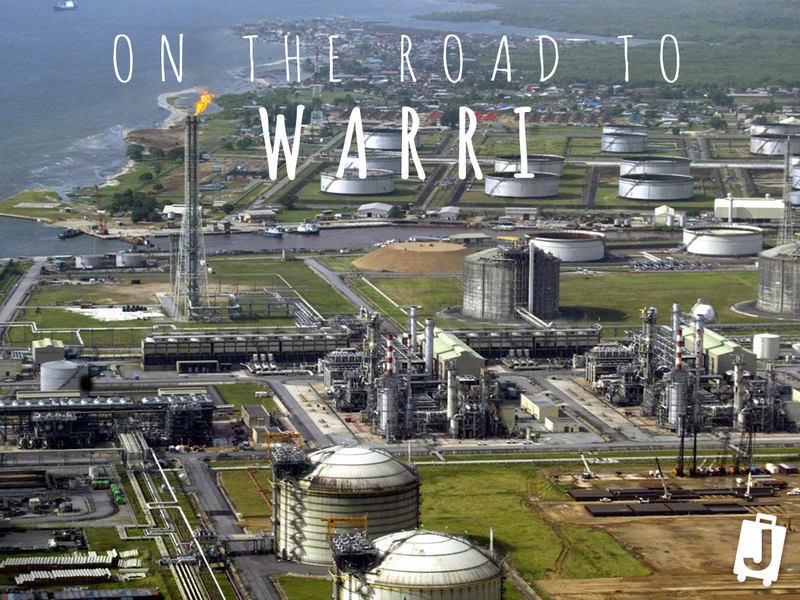 By each passing day Warri has started to live up to its reputation and is gradually being recognised as one of the busiest cities in Nigeria where you assured of getting great vibes, entertainment and a destination for relaxation and comfort and Warri has joined the likes of Lagos, Abuja and Port Harcourt to hosted the biggest events and shows just like the Warri Mega Fiesta, Harrysong, etc where the who and who in music, movies, comedians, and all those involved in the entertainment industry were part of it. The top 5 Warri events centres highlighted in this article have hosted the likes of Davido, Wizkid, Tubaba, and ace comedians like Igodie, Bovi, Ay, etc and just the recently just concluded church event where the American preacher and motivator Bishop T.D Jakes was hosted by pastor KK in KFT event centre Warri. These event centres have brought pride and glory that has been missing for some time now back to Warri and waffarians can attest to the fact that the once vibrant Warri which was known for entertainment is gradually picking up and things are getting better by each passing day and Warri event centres are now being built and designed to host the biggest shows. You no longer need to stress yourself for a perfect venue for your event activities and listed below are the five best event centers in Warri which have the best services in Warri City. KFT Warri event centre And Conference Hall are used for different services which can be used for music and comedy shows or concert meetings, retreats, birthday celebration, religious gathering, weddings, cocktails and many more. Manuex place event centre is on our list of the Top 5 Warri event centres because of its outstanding architecture, Space, Decorations and standard facility of the event center which has an exclusive atmosphere and it is convenient for use and suitable for all types of events or ceremonies. Manuex Place warri event centre has a very spacious car park and offers 24 hours power supply to ensure that power is available at all times and the halls are designed to suit different types of event which depends on the size of the event. Manuex warri event centre has a luxury environment with tall ceiling and amp floor. They also have a team who are totally ready and obligated to satisfy and support their clients and guest. It is located at 209a, Jakpa Road, Effurun, Warri. 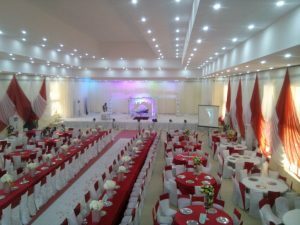 Best-Western Wetland Hotel Event Center makes our list of the Top 5 event centers in Warri because it has a big hall with a banquet seating of 2000 guest capacity and also has fabulous facilities that are presently needed to host any type of event. As their norm, Best-Western Wetland Hotel Event Center is reputable for its outstanding services and it has a perfect luxurious environment, a standby generator, external catering service can be allowed, it has a conducive parking space and many more packages which ensures that the event is successful. It is located at D.S.C Expressway, by Mofor Junction Delta-State. Brownhill warri event centre is an exclusive place which renders different services such as; event decoration, event entertainment, live band performance, bringing of top artists, entertainment show organizer, and a host to many more enticing entertainment. BrownHill Warri Event centre is known to have rekindled the fire of entertainment back in Warri because it sprang to life when it seemed like Warri was losing its touch in hosting the biggest music and comedy concerts in Nigeria. Brownhill Event center is located in Ogunu, Warri Central, Delta-State. Rukoma Warri event centre is quite spacious and its facilities are well maintained and it is ready for use at all times. Rukoma Event Center Warri is perfect for types of events because of its size and price list. Rukoma event center Warri offers other services such as renting of canopies and chairs for any kind of event and diverse entertainment. Rukoma Warri Event Center is located in Effurun, Uvwie, Delta State Nigeria. The event centers listed above are quite spacious and comfortable for use for different types of ceremonies and occasions. Your security is guaranteed because adequate measures have been put in place to ensure that your events are not interrupted or disorganized in the event of a security bridge or by some drunken persons. Their prices are quite affordable and they have different packages that will suit your needs which will ensure that your event is successful.